Admittedly, methods of crime investigation have changed in the hundred years since the Holmes classics were published. The FBI didn’t even collect fingerprints before 1924, and DNA analysis was unknown until the late twentieth century. Even Berlins, in the Times article, awards Doyle a dollop of respect. 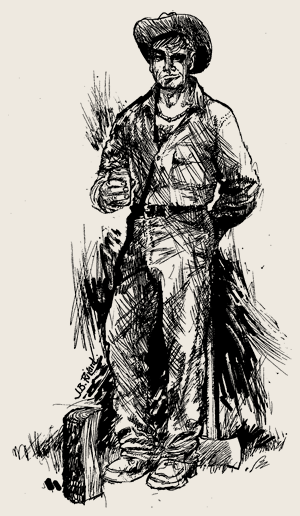 “More than a century after his creation,” he says, “Holmes is still the only fictional detective with an international reputation, his name instantly recognized—and the books read—from Beijing to Bogota.” But then he adds, “We revere Holmes today not for his skills, but as a symbol of a nostalgically attractive bygone age.” Is not such faint praise less than the whole truth about Doyle’s protagonist, not to mention the novels and short stories that have brought Doyle more than a century of acclaim? Vessey: ‘A very unusual one, Kay. The cut is dorsal versus palmar.’ While it may be true, as Berlins complains, that Cornwell’s novels feature “…every gruesome scalpel cut of an autopsy,” the technical patter used confers a realistic patina to the story, thanks largely to the authority Cornwell conveys as a result of her years as a computer analyst in the chief medical examiner’s office in Virginia. But to identify these trappings of reality—generically termed ‘verisimilitude’—as the backbone of the fiction is to confuse subject with treatment. 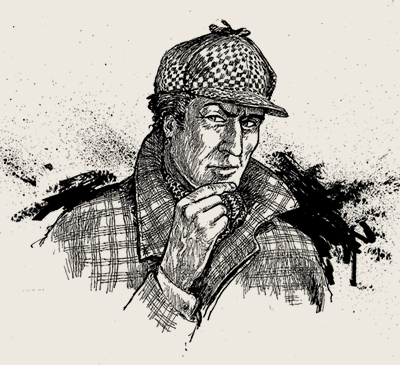 The idea that the Sherlock Holmes stories—or any other fiction, for that matter—should be valued based on the adequacy of skills displayed by its protagonist is less an insightful leap than a baby step toward an appreciation of a single aspect of the writer’s skill. The late Ruth Cavin, dedicated senior editor at St. Martin’s, said of the mystery genre: “Today’s mystery writers need an absorbing plot, real and complex characters, fresh and accurate writing, [and] a well-defined and believable atmosphere, both physical and psychological.” Parenthetically we may add that she might as well have been identifying the components comprising every worthwhile fiction. This brings us to the crux of the matter. While fictional detectives’ intellectual gravitas and investigative schemes on display in nineteenth—and even early twentieth-century—stories may today strike us as ineffective, quaint, or even laughably unscientific, we may always turn to the Sherlock Holmes canon to witness not the ineptness of a bungler, but rather Arthur Conan Doyle’s first-rate integration of plot, character and atmosphere into a fluent display of virtuosity that defines masterful storytelling—regardless of the century in which it appears. It wasn’t just the floor lamp with a pleated shade and cast iron feet in the shape of lion’s claws that worried me. Or the heavy lace curtains. Or even all the overstuffed chairs with those rounded arms straight out of the 1930s. Mrs. Del McBade, her overstuffed body crushing the upholstery opposite me in the McBade living room—she worried me. Her husband Del had inherited $870,000 from his uncle Carl, a carpet wholesaler who’d died a closet millionaire. The $870,000 had disappeared quicker than a meth addict’s high, yet Mrs. McBade didn’t seem to mind. “All right, Mrs. McBade. I’ll find him.” I got up to leave. She didn’t smile. She didn’t get up. “I’ll be waiting,” she said. It was the end of the week before I had enough to move on the McBade case. I went to the Howard building, where Family Investors Services occupied a corner on the ground floor. Inside the outer office, I questioned the receptionist. She wore a wide belt that cinched her waist worse than a ravenous anaconda. “Vice President Lynnbert is only in the office on Tuesdays and Thursdays,” she said, twirling her mini-braids with one hand’s worth of two-inch-long fingernails. Button’s taxicab was parked in front of the Drack’s Pizza-by-the-Slice. I opened the rear door. “Hi, Settler,” Button said, leaning over the back of the seat and displaying her arms. She’d had her sleeves pushed up beyond the elbow before I’d even gotten the door open. A year ago Button was weeks away from a numbered grave in the county plot. She wanted off the needles and away from the motel beds. I offered her a deal. If she’d clean up, I’d stake her to a ’90 Imperial I’d won on a sports bet and enough money for a taxi ticket. She’d already paid a third of the stake back, counting the credits for all my no-charge taxi rides. “John’s bothering you much?” I asked. Lynnbert’s country estate owed something to South Fork, that ranch on reruns of TV’s old “Dallas” show. It was big and opulent and there wasn’t another house within a half-mile in any direction. Out front, I told Button to turn around, drive a mile down the road and park. If I didn’t show up within the hour, she was to leave. “If you don’t show up, I’ll worry myself sick,” she said. As I trudged toward the big white house at the end of the drive, a roar got my attention. A man in a ten-gallon hat was driving his tractor toward me at a good clip. Clattering behind was a five-gang mower with grass-catcher bags flapping in the wind. He braked and cut the motor back so you could almost hear yourself think. “Howdy,” he said. He tore off, black spitballs jetting from the exhaust. I scanned the house’s windows. There was no sign of activity inside. “One at a time,” he repeated, roaring a big laugh at the merit of his observation. We traipsed into the side entrance and through the kitchen on the way to the back porch. “You got it. Want to see?” Lynnbert hauled a six-pack of beer from the refrigerator. We strolled across the back porch to the nearest barn. He asked my name. Inside the barn there were heating ducts overhead and lots of bright lights. The first car I saw was a mint Lincoln Continental, the classic with the humped trunk. Nearby were other classics including a few Jaguars, a vintage Ferrari, a BMW “M” roadster, even a Lamborghini, all of them parked neatly in rows. He motioned for me to follow him to the far corner, next to the big double doors. “Here’s my latest gem,” he said, gesturing at a deep black Mercedes roadster. “Looks like an ordinary SLK but it’s not. It’s a Brabus V-8.” He climbed in and twisted the key. A wonderful growling rumble rattled the double doors. He picked up the ax. “Watch,” he said. Using one hand alone, he swung it overhead and brought it down clean and fast. The blade split the log neatly into two halves. He grabbed his beer, drained it and laughed. Lynnbert chugged some of his beer and stared at me. “Yeah, well,” he said, “sometimes the paperwork gets snarled up.” He swung the ax with one hand and again neatly split the wood. He had turned away but now he whirled back and the ax was coming. I barely sidestepped as the blade flashed by. I flicked my Glock 9mm from my rear waistband and fired twice. Both slugs penetrated his middle. He looked surprised. He gripped the ax with both hands and began to lift it overhead. Blood was spreading across the belly of his shirt but he kept coming. I fired again. This time the wadcutter hit something vital. He crumpled forward, the ax thudding to the ground behind him. He stared at me from the ground while his hands were busy trying to keep the blood inside him. I glanced at the grass. It was patchy, darker green in splotches. I sighed and thought about what I’d have to tell Mrs. McBade. I picked up the three ejected cartridges and stowed them in my pants pocket. I picked up the beer cans and crushed them one by one and stuffed them in my jacket pockets. Then I trudged to the nearest barn. At the door I glanced back. Czapcher, AKA Lynnbert, had stopped twitching. I guessed he’d expired. Inside the barn I opened the double doors at the far end. The V-8 motor fired right off. I eased the transmission into drive and moved the Brabus SLK out into the daylight where bright reflections danced along its black mirrored surface. I hated to leave all those other fine automobiles behind. But like the man said, you can only drive one at a time.